Santa Monica Municipal Airport (SMO), once the legendary Douglas Aircraft Company and “Clover Field“ after WWI was recently announced to be turned into another airport theme park due to its negative impact on the surrounding neighbors. 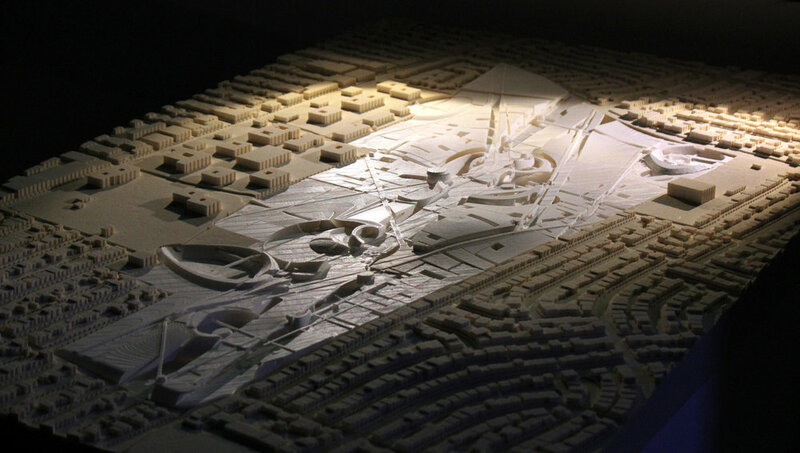 City of Santa Monica released the visioning re-purposing plan with extreme debates evoked. Without asking fundamental questions we can never properly identify and evaluate the real potential behind this evolution. “What are the large sustainable issues that the city is facing?” ”What the additional park can offer us in terms of social/ environmental resilience?” “If it is possible that the SMO can be transformed into something that deals with social problem with great potential economic return?“ Various issues under large sustainable framework are targeted by studio and based on which the design strategies and possibilities unfold. 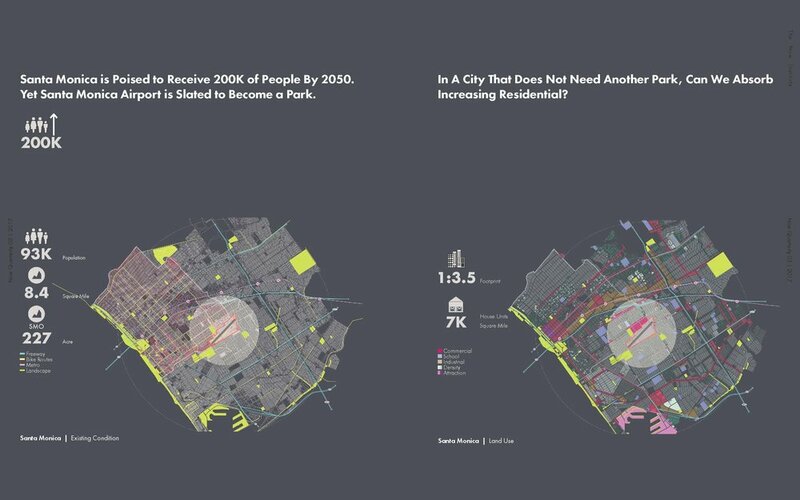 How to feed people in Santa Monica 2050 ? Using advanced farming and delivering technology such as hydroponic systems and drones showcases the future generation of farming and distribution and allows the public to reimagine various environmental scenarios within the farming world. In addition, analyzing, occupying, and redefining a large existing site located in the intersection of the City of Santa Monica and City of Los Angeles form a new way of looking at infrastructure that can be transformed into not only a mothership that feeds its surroundings to strengthen the producer-supplier-and-consumer relationship but also a central hub that brings the world together in one place. 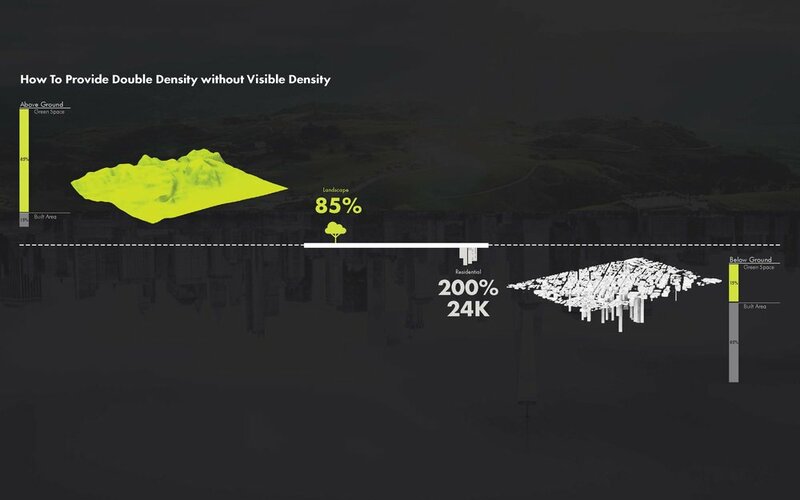 The Invisible City at the former Santa Monica Airport site is an ecological and urban transformation that would provide high-performance landscaping and increased residential density. 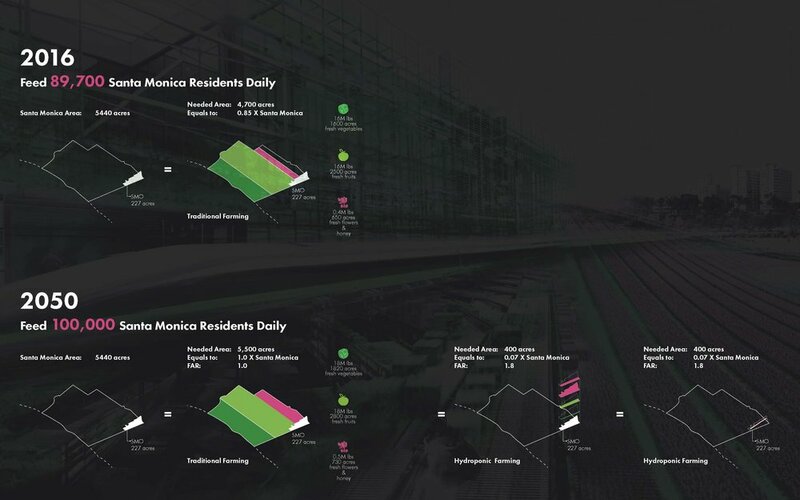 The scheme provides for housing while preserving most of the land surface and enhancing the quality of life in Santa Monica with parks and recreational areas. The housing will be established underground - maximizing space and providing a safe environment from natural hazards such as fire, wind, and earthquakes. 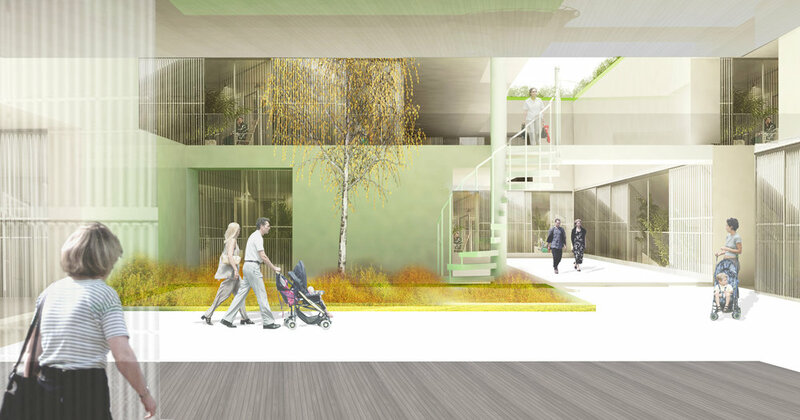 Implemented with urban resilience in mind, the underground dwelling saves up to 80% of energy, limits noise, reduces pollution, and maintains consistent temperatures. 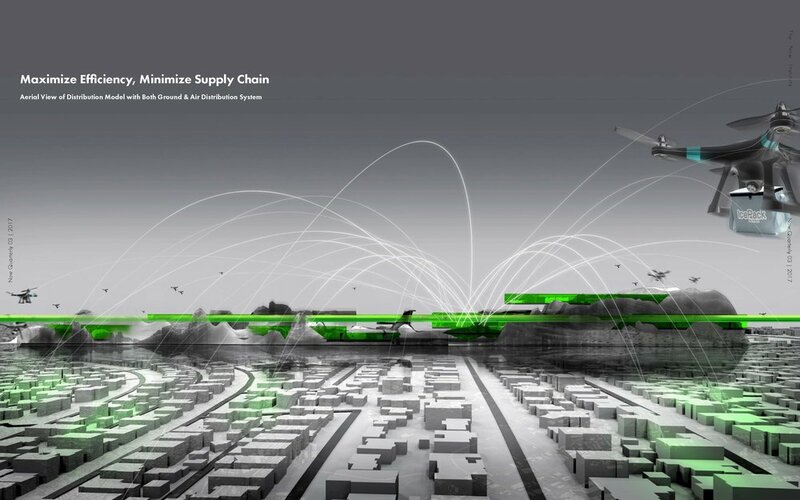 This agenda allows the city to move forward to a new paradigm of urbanism, where built forms and land uses are closely integrated with the prioritization of green spaces and people-oriented travel modes such as walking, cycling, and public transit. HOW CAN SANTA MONICA ACHIEVE 100% RENEWABLE ENERGY, 100% LOCAL WATER, AND ENHANCED ECOSYSTEM HEALTH BY 2050? It’s already accomplished a certain amount (23%); it can accomplish more via bottom-up strategies; 50% by 2030 but there is a remainder that must be solved via top-down centralized planning. 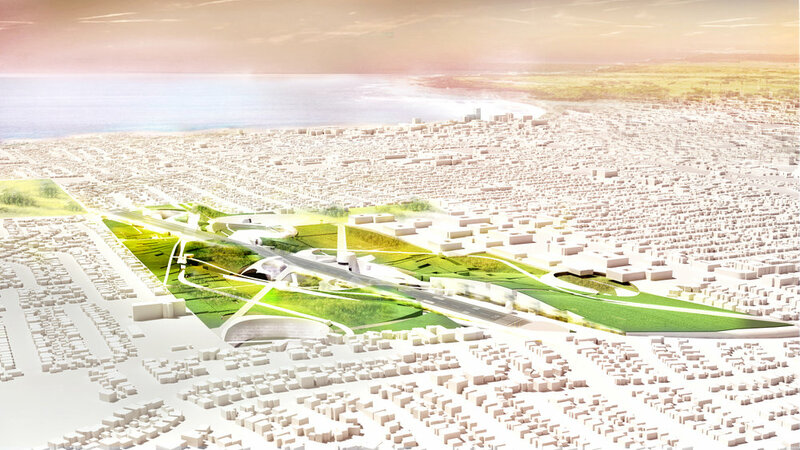 The SMA site can accommodate all of the necessary top-down infrastructure to make Santa Monica reach its sustainability goals. It’s like achieving a desired weight: you have to know your current weight, then accomplish some by diet & exercise (bottom-up), and the rest is nutritional supplements (top-down). 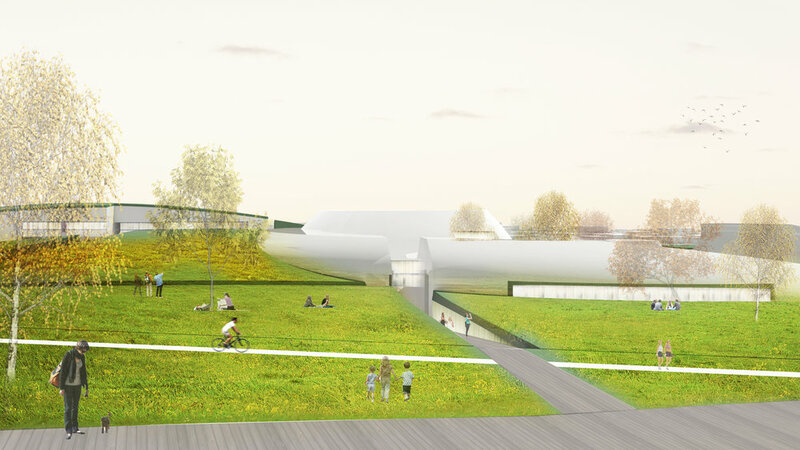 SMA site provides the Supplements -- the heavy infrastructure -- to make all of Santa Monica sustainable. The main concept is to go from a decentralized infrastructure to a more powerful, energy producing infrastructure.It would add to an already innovative Santa monica as a leader to a more sustainable, and energy efficient future.The main concept is to go from a decentralized infrastructure to a more powerful, energy producing infrastructure.